The business of Twitter has grown more in this last year than it has in its brief four-year history. It’s a light year versus calendar years and now Twitter is flying high with almost 200 million users releasing 100 million Tweets per day. Twitter released a unified style guide to align users and field reporters behind the fortification of the Twitter brand rather than ignore the social anarchy that was threatening to dilute it. Yes, you can tweet freely, but when we refer to Tweet as a noun, we must now follow the guidelines set forth by Twitter. Last year, Twitter attempted to trademark Tweet and now we’re introduced to well-documented guidelines that help us follow the “new” rules. We’re also now presented with official resources for Follow buttons, Tweet buttons, Widgets, and logos and icons. Truth is, that every brand should have a social styleguide…not only how a brand should be presented and represented, but also to officially define its voice and persona as well as the traits and behaviors of its representatives in the social Web. I have rarely such instances of attempted brand control by an organization toward external users. Organizations typically promulgate style guides toward paid employees and contractors to ensure consistent use of language, terminology, etc. For example, newspapers ask reporters to follow a style guide — think A/P Style Guide as one well-known example. In this case, Twitter wants to enforce language usage among unrelated third-parties? While the benefits to Twitter are obvious, in practice it's invasive, impractical, and borders on the offensive..
Update: Brian your post is confusing. Twitter seems to be proposing guidelines for using their trademark, which is within their right. The page to which you linked is not a style guide, in any traditional sense. Are you therefore proposing a style guide? I'm confused here. I like style guides…but also like the idea of letting my own personal style shine thru as well. I never thought of best area practices for how one asks to be followed…it's something to consider. Dude, no way man now that is just WAY too cool. Wow. I'll be watching for the uptake on these. I think it's going to be hard to get people to give the icon sets they're already using. What's interesting is, the Twitter logo on your own website, Brian, is one that is near-universally embraced because it is small and obvious. I'm disappointed Twitter did not take into account the millions(?) of existing links using the “T” and similar Twitter subscribe icons. Fair enough to have a brand style. But not fair if it doesn't account for the millions of people already referring to you. 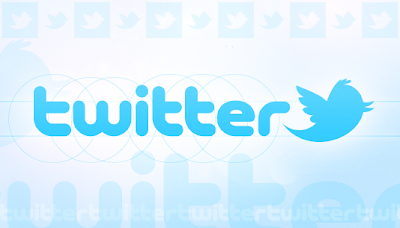 Brian – do you plan to change the Twitter logo on your website? No, I didn't think so. I like it, a new style for Tweet? It is a nice thing of something we love has a new style. It makes me excited if this new style will implement as soon as possible and I will Tweet it a thousand times.